Summer heat can be hard on your body and health, as well as take the fun out of your summer. 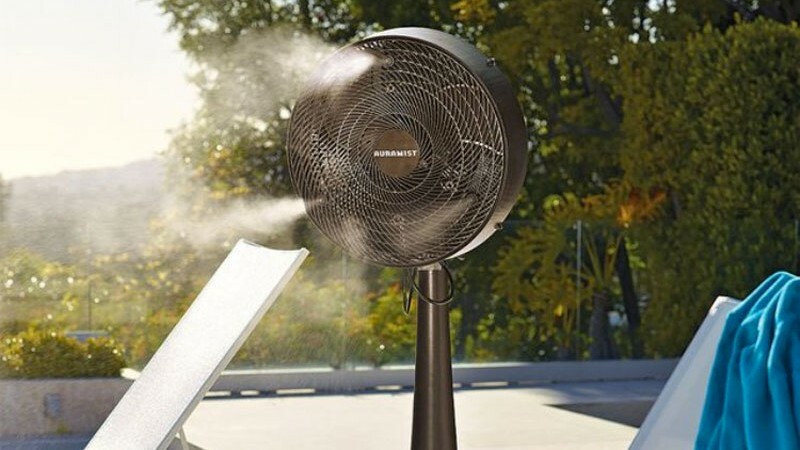 If you are an outdoor type, love to spend time on your porch, terrace or by the pool, but find excessive heat distracting, you will need to get yourself a fan. 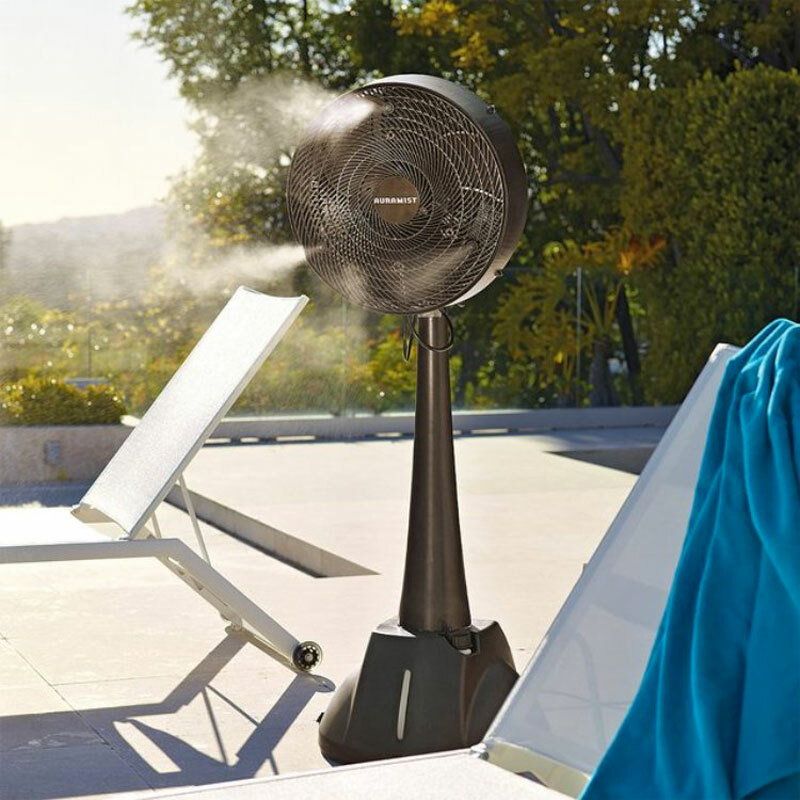 Hoseless portable dry mist fan by Auramist is ideal for a capacious sitting area or your patio. You can use it both indoors and outdoors. The fan has a streamlined design, adjustable mist control to dry and wet settings, three speeds, a 2.7 gallon water reservoir, and it runs up to 5.4 hours per fill. It is also energy efficient, using energy equivalent only to two light bulbs. It can reduce the air temperature by 30°F, and its dimensions are 19-1/2″W x 19-1/2″D x 55-3/4″H.